You find some of the most historic buildings, right in the middle of downtown. Time seems to standstill for them, while the rest of the city marches on. Skyscrapers grow around them, yet they remain virtually unchanged. 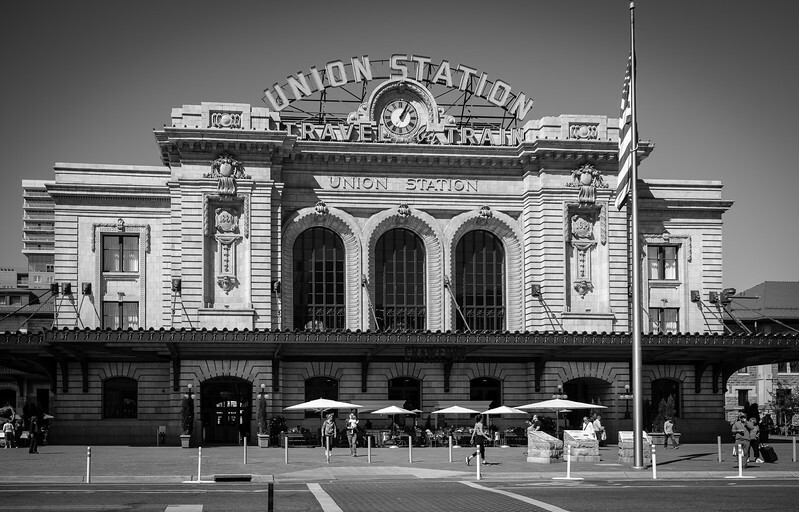 Such is the case for the Union Station in Denver, Colorado. Or at least from the outside. The station itself has been renovated and the is the center hub for train activity in the region. The black and white treatment here adds to the period feel of the station. Visit here for other photos of this building.